If you’re looking for a small family car that’s good to drive and reliable into the bargain, but you don’t want to follow the crowd, Mazda could have just what you’ve been looking for; its Golf-sized 3. Despite its Focus roots, the Mazda 3 has never set the charts alight as Ford’s family car has done. But that’s not necessarily a bad thing, as you can enjoy many of the benefits of the Focus while also having something more distinctive on your drive. And while the 3 is class-leading in few areas, as an all-rounder it’s a great small family hatch. We’d avoid the MPS though, as while it’s enjoyable to drive, there are plenty of alternatives that do a better job. 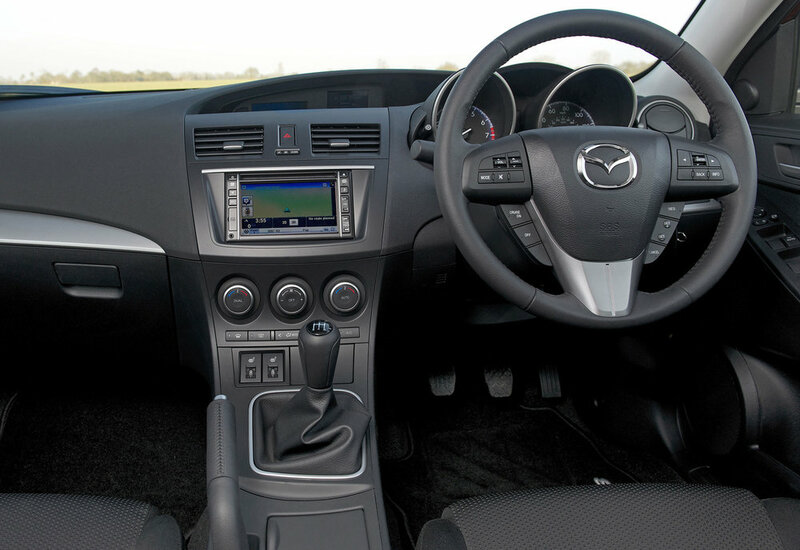 5/09: The Mazda 3 Mk2 is introduced. There are four-door saloons or five-door hatchbacks in S, TS, TS2 or Sport trims, with 1.6-litre petrol or diesel engines, a 2.0-litre petrol or 2.2 diesel, the latter in 148 or 182bhp forms. There’s also a 256bhp 2.3-litre petrol option, in the MPS. 3/10: The 1.6D engine is upgraded and gets a six-speed manual gearbox for better efficiency. 2010: The Tamura and Takuya special editions arrive in February and June respectively. 3/12: A facelift brings a reprofiled nose, improved refinement and extra standard equipment. The steering is also improved to provide more feedback and two new trim levels are introduced: the Sport and Sport Nav, the latter featuring standard navigation. Servicing can be expensive thanks to short intervals and high costs. Saloons are rare and unloved, so can be tricky to sell on. The diesel particulate filter on 2.2 diesels can cause problems which require a dealer visit to change the oil. Diesel-powered cars tend to get through front tyres quickly, thanks to the extra weight of the engine. The Bluetooth sometimes play ups, but a software update usually fixes things. The rubber boot button can crack, letting water in, leading to reliability issues. While the headlamps are great on main beam, they’re poor when dipped. Upgraded bulbs don’t seem to help. The front seats could be more supportive, so you might suffer back ache after a long journey.